How do I easily divide dough into thirds? I occasionally find myself with a lump of dough which I want to divide into three equally sized pieces (like for making 3 pizza bases). I could weigh it but it typically means getting the scales out and dirty and having to cut pieces off and re-knead them into the dough. Eye-balling kinda works but sometimes I'm a fair bit off. So I was wondering if there is a nice technique which doesn't require additional tools like a scale to divide a lump of dough into three equally sized pieces? You could measure it out using your hand. Roll out the dough to be close to the width of three hands, and then cut each piece at the width of your hand. It is fairly easy to make an even roll, and the width of your hand is fairly constant, so that should make for three closely sized lumps of dough. Added: Another variant using a measuring trick, is to first make an even roll, then use the tip of your digits(/fingers) not including the thumb to make a line of dots along the length of the roll. Then you can count the dots and divide by three. Another trick: make an evenly roll, lay it down in a S-form and push it together. It works quite well after a bit of practice. Main advantage: you can add more "loops" to make 4, 5, and more parts. The roll needs to be thinner and thinner, so there is some natural limit to it but even I with my all-thumbs hands can manage up to 7. Why not using the simple fact that cos(60°) = 1/2? Here's an old math trick that makes dividing dough into thirds easy. 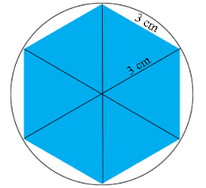 Flatten your dough into a bit of a disk and mark the center point as a reference. Find a convenient object with an "edge" that is slightly larger than the radius of your dough and flatten your dough a bit further until it is about that size. Using that edge as a reference, you can "walk" the outside of the circle, marking off equal lengths as you go. When you're done, you will find six equally-spaced marks along the ouside of your dough which will form the points of a perfect hexagon. Cutting from the center of your dough to every other point you made should divide the dough into equal thirds. Try fashioning an equilateral (all 3 sides of the same lenght) triangle with the dough. Make sure it is level (height needs to be uniform). Then, simply cut the dough in half from each angle of the triangle (so 3 cuts). You'll get 6 pieces of equal mass. Add these pieces 2 by two and you get 3 pieces of equal mass. The solution doesn't remove the need to be accurate, but makes being accurate easier (the geometrical form will favor accuracy, as it is more visual than simply guessing the size of each piece). Start with a square. 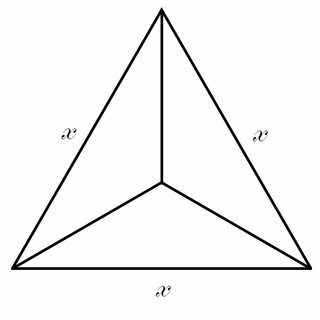 Divide it into four sub-squares. Set aside three of the sub-squares. 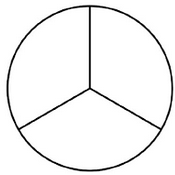 Divide the remaining sub-square into four sub-sub-squares. Add one sub-sub-square to each of the three intact sub-squares. 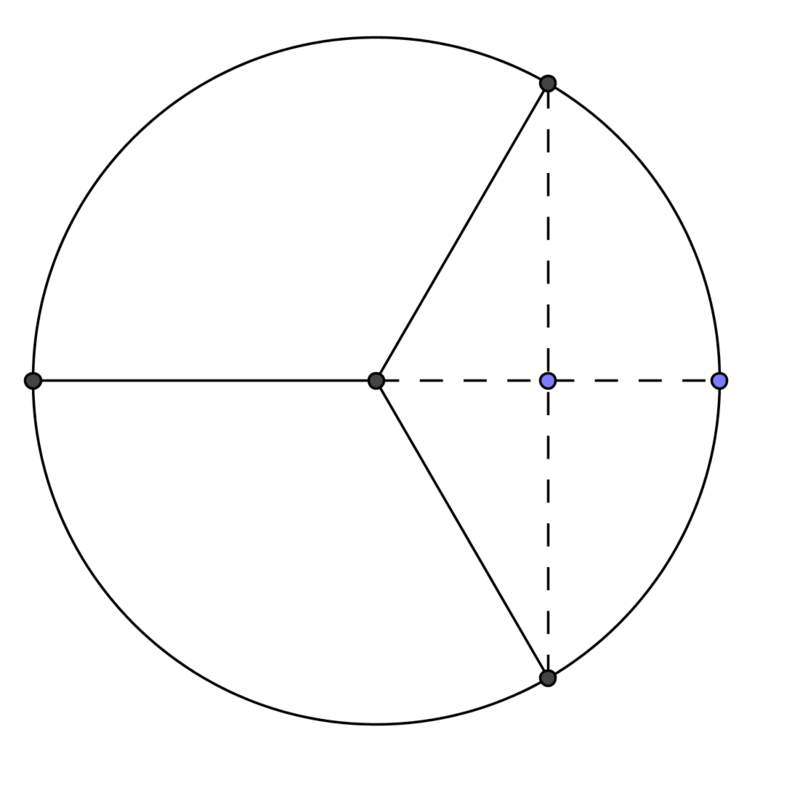 Divide the remaining sub-sub-square into four sub^N-squares. Continue the process until one of the remaining sub^N-squares is so small that you don't care if it isn't perfectly divided into thirds. Split the dough into quarters in three steps. Save three doughs. Repeat step 1 with the leftover piece. Add a new piece to each saved dough. Repeat step 2 until you feel comfortable with splitting the remaining piece in three. Add the pieces to your doughs. You will have three equally sized doughs within your margin of error. Divide to three pieces arbitrarily, then just cut away and eat slices from the currently biggest part until all three pieces are equal. Break off a piece such that the remaining piece is twice as large. Then break that large piece in half. How do I eat pomegranates? How to stop a serving spoon from falling into the food? How to cut onion into small cubes? Getting the stringy stuff off a clementine / tangerine easily? How to easily clean dough remains after baking bread? How to easily start a fire in a charcoal for grilling without using gas? How do I bend cheese?